After experiencing debilitating pain from a disc herniation and being told he needed back surgery, Dr. John Allenburg decided to forgo surgery and try chiropractic care first. Chiropractic care, along with stretching and exercises, had him back on the ice playing hockey in three weeks. 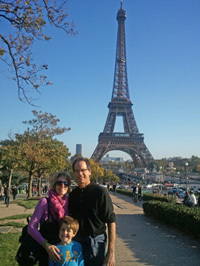 Dr. John comes from a chiropractic family: his father, two uncles, two sisters and three cousins are all chiropractors. In fact, Dr. John’s father was the former President of Northwestern College of Chiropractic (NWCC). Dr. John is a local graduate of Benilde-St. Margaret’s and received a B.S. in Natural Science from St. John’s University in Collegeville, MN. After months of interning at medical clinics, hospitals and chiropractic clinics, Dr. John decided to combine his math and sciences education with chiropractic, due to its non-invasive and holistic approach to well-being. 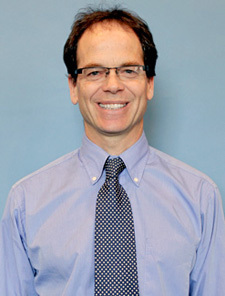 Dr. John has been practicing chiropractic for over 20 years. He participates in many local chiropractic committees and is a proud alumnus of NWCC. He feels blessed to have had the tremendous opportunity to help his patients get out of pain by leading them to a healthier lifestyle through chiropractic care. Call our Plymouth chiropractic office to schedule an appointment today!